Multispan products include a gigabit Cisco network switch, allowing fast single cable connection to any network infrastructure. Pairing a separate network switch and dedicated power unit ensures reliability and convenience. Multispan and MultispanUPS products include a 5-port network switch. 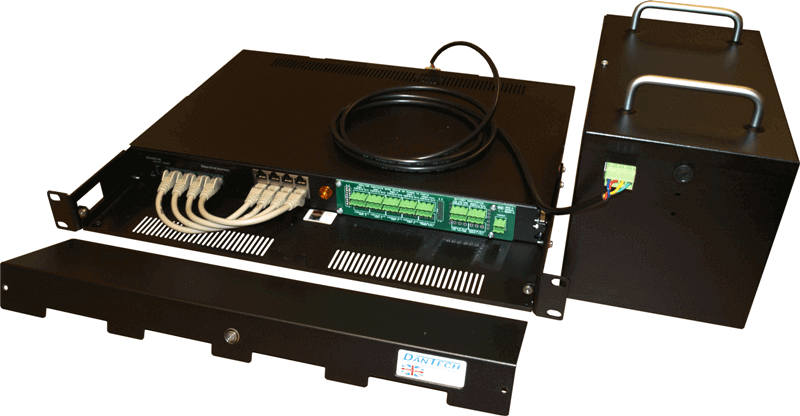 Available within an indoor mild steel wall mount enclosure, exterior IP66 weather resistant enclosures ideal for harsh environments, or simply as a 1U rack-mount product. SecurePoE Indoor MultispanUPS is ideal for indoor environments where up to four devices require reliable, PoE power up to 30W each. With one, two or four through-port models available, you can connect devices to be powered with or without a data connection. 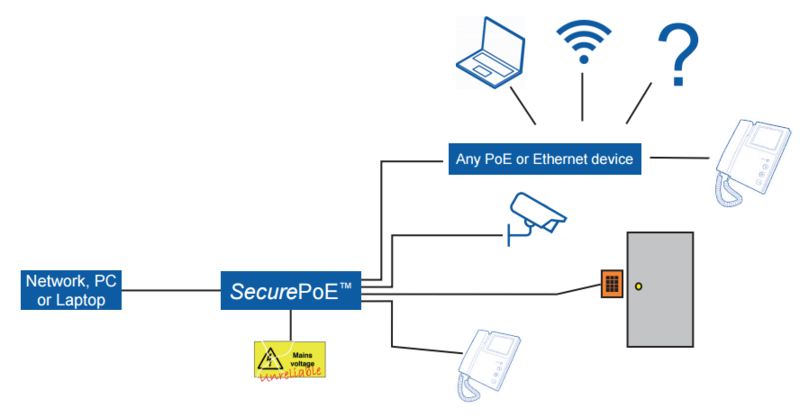 Exterior MultispanUPS SecurePoE is ideal for harsh outdoor environments where up to four devices require reliable, PoE power up to 30W each. 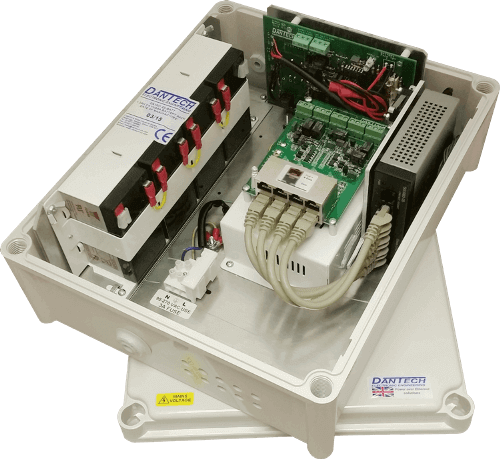 With one, two or four through-port models available, you can connect devices to be powered with or without a data connection. 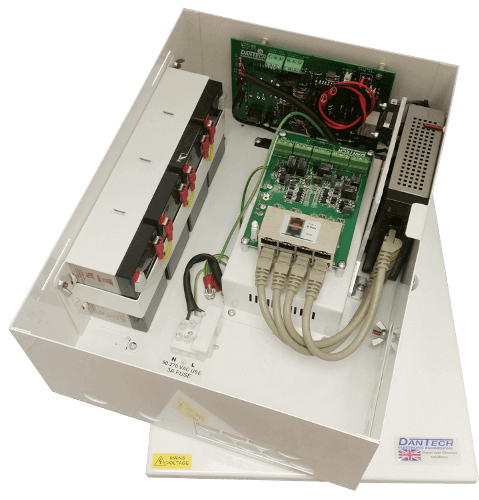 SecurePoE MultispanUPS is also available in 1U Rack mount enclosures which are ideal for where rack space is limited and battery backed or monitored PoE power is required. With four through-ports, you can connect devices to be powered with or without a data connection.